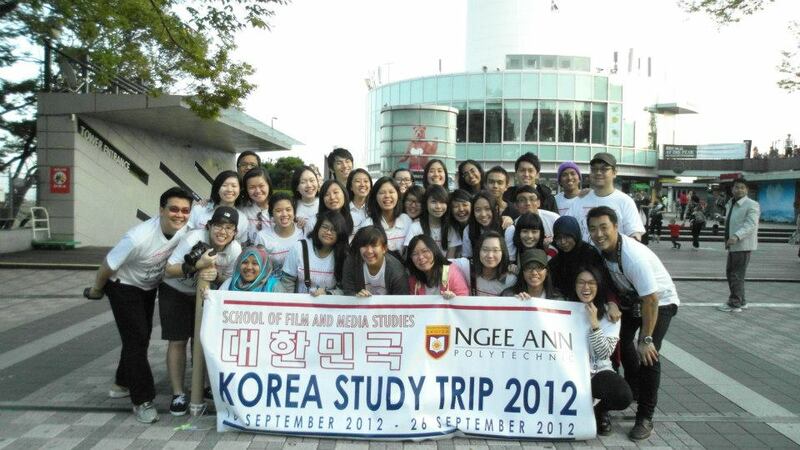 This page is a reflection report of Ngee Ann Poly's School of Film & Media Studies study trip to South Korea in Sept 2012. If you are a fan of korean dramas and the "Khuntoria" (2PM's Nickhun and f(x)'s Victoria) couple from "We Got Married", the Namsan Tower would probably sound familiar to you. 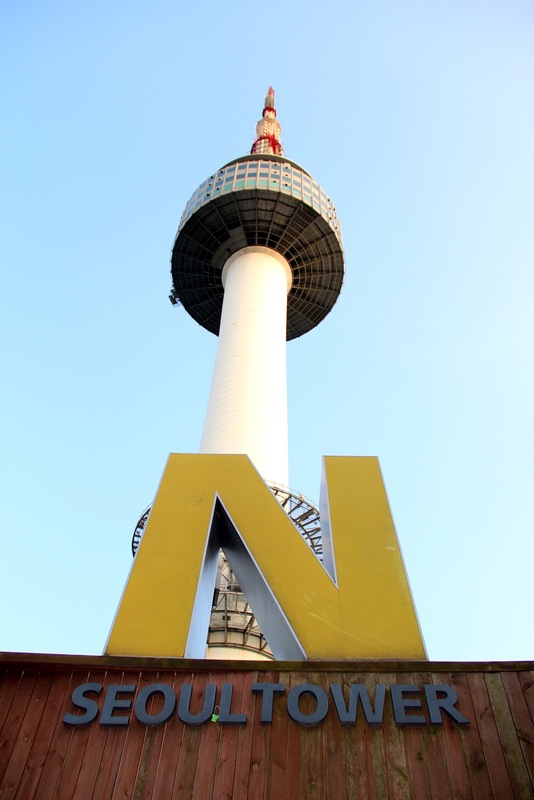 More commonly known as “N Seoul Tower”, it is located on Mt. Namsan. It offers great panoramic views of the city, and has been a symbol of Seoul since it first opened to the public in 1980. As the coach made its way up the mountain, our eyes were fixed on the astounding view of the city below us. We just could not wait to get up the 480m tower to get the full and undisturbed view of the city! The sunset view from the top of Namsan Tower. 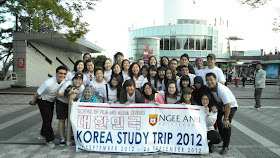 After we alighted from the bus, we had to climb up a steep hill to reach the entrance to the tower. With the refreshing and cool air, a few of us (including Mr Douglas, haha!) decided to run up the hill, just so we could get it over and done with! 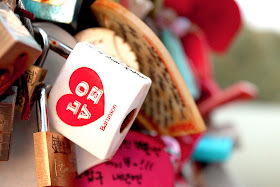 And of course, the main attraction of the Namsan Tower - "love padlocks". Love padlocks are a custom by which padlocks are affixed to a fence, gate, bridge or similar public fixture by sweethearts at an increasing number of locations in the world to symbolize their everlasting love. It is said that if a couple tosses the key far away after securing their lock, they would stay together, forever in bliss. It is no surprise that there were over ten thousands of locks!